Review the year 1 configuration after confirming prerequisites and plan configuration mentioned above. 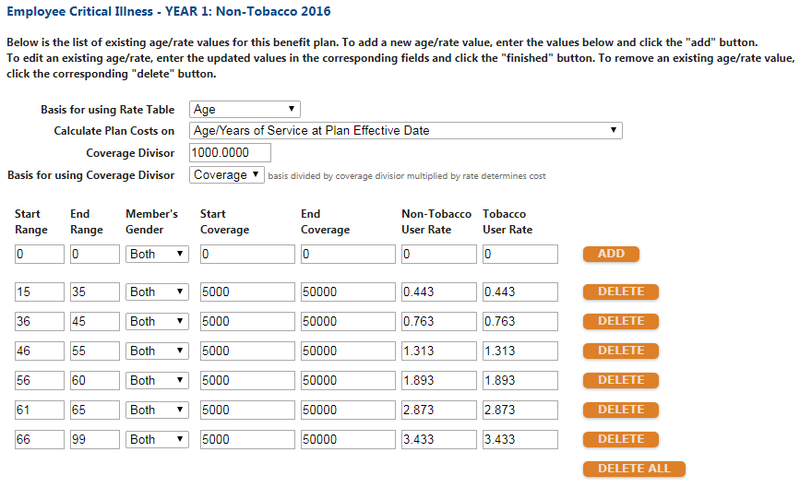 Year 1 plans should include BOTH a tobacco and non-tobacco plan, each built with a rate per $1,000.00 based on coverage. 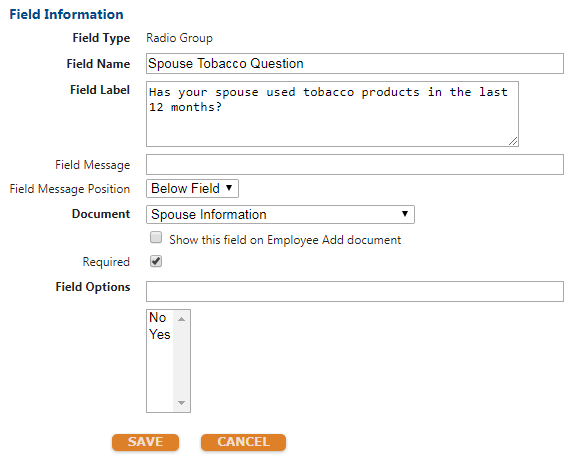 Ensure additional eligibility criteria is established for smoker/non-smoker status in the “demographic eligibility rules” section of the Eligibility Rules page. Review the year 2 configuration after confirming prerequisites and plan configuration mentioned above. Year 2 plans should include new enrollee plans for both tobacco/non-tobacco and contain a separate age band based on carrier documentation. Each plan will carry its own rate per $1,000.00 with a range of age 0-99 to ensure rate does not change for anyone in this plan if mass update is applied OR when plans are rolled to following plan year. Eligibility criteria should include EE Tobacco Status AND the CI Issue Age Band that corresponds to the plan’s age band. i. Reduction schedule should not be configured for these plans. 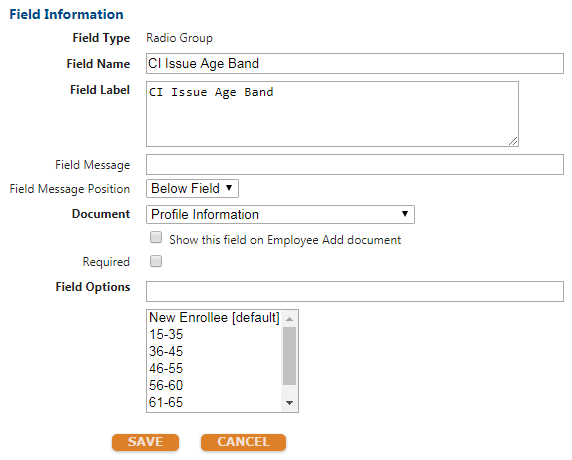 Please note: When moving to rolling elections for year 2+, CRM will need to export data from prior year’s “New Enrollee” plans and import elections into designated age band plan. This is how benefitsCONNECT will lock the rates ongoing. Each plan year when beginning open enrollment, the “New Enrollee” plans should not have any enrollment beyond test employees. Age Reduction Consideration: Age reduction schedules should not be built out. IF a carrier has an age reduction for the plans, this will be handled via import. Best practice will be to export a 900 from “New Enrollee” plans > manually reduce coverage and maintain rates from export > import to designated age band plan. Mirror configuration for year 2 benefits. Add plan association to prior year and future year plan designs, to roll elections to new plan year. b. Elections for all age bands prior to age reduction can be rolled forward to new plan year if configuration mirrors what’s been outlined above. i. When rolling elections ensure there are no changes to rates in preview of future elections. c. Any client that has an age reduction beginning at age 65+ will need elections exported and imported from prior year to ensure reduced coverage amounts with total coverage cost are imported and appear properly.